THE rift over sharing of seats among MDC Alliance partners took another twist yesterday as MDC-T secretary-general Douglas Mwonzora stood his ground, claiming that he had convinced MDC-T leader Morgan Tsvangirai that the opposition party would continue fielding candidates in all constituencies until such time the coalition has finalised its negotiations. Mwonzora argued the MDC-T and its alliance partners had not yet signed a specific pact allocating seats to parties in the coalition, and added that Tsvangirai’s statement to the contrary was based on misinformation. “I have been in discussions with the president (Tsvangirai) and we agreed on my position and what I meant as regards the party’s candidate selection and the alliance,” Mwonzora said. This came after Tsvangirai and MDC Alliance spokesperson Welshman Ncube issued separate statements on Saturday, accusing Mwonzora of undermining opposition efforts to form a grand coalition to fight Zanu PF in next year’s elections. Ncube, who doubles as MDC leader, claimed the parties had already agreed on the allocation and sharing of constituencies in the seven-member opposition coalition. Tsvangirai is MDC-T and MDC Alliance leader whose other partners are Transform Zimbabwe, Multiracial Christian Democrats (MCD), ZimPF, People’s Democratic Party (PDP) and Zanu Ndonga. Contacted for comment yesterday, Ncube insisted that Mwonzora’s statements were meant to derail the coalition efforts. 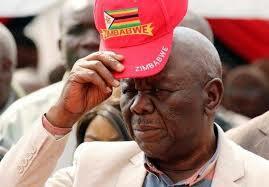 “I spoke to president Tsvangirai yesterday (Saturday) before and after he issued the statement. I will not speak for him but I suggest you talk to him than all of us being taken for a merry-go-round by Douglas Mwonzora. “The agreement we signed allocates a seat to each party and as I speak all parties are working to select their candidates. We agreed that we will not contest each other from the president to the local authorities and president Tsvangirai is clear on that,” Ncube said. He added that the narrative about the non-existence of an agreement is being pushed by individuals bent on undermining the opposition alliance agreement. “It is not sane for anyone to claim that an agreement that has been in place for six months now is non-existent. If that is the case, then what we have been doing all along is kindergarten politics,” Ncube said rhetorically. “I suppose it was issued before we met, but we have since cleared the air. As secretary-general of the party, I have a constitutional duty to call for candidates’ applications and I must do that within reasonable time before an election,” he said. “We are six months from an election and need our members who will contest the election to raise resources and campaign in time. For now, however, we need to have them in place and help them raise the necessary resources in good time”. Mwonzora argued instead of undermining Tsvangirai’s authority, he had, in fact, enhanced it. “I have not undermined the authority of our party leader; if anything it is to his advantage that he has pro-active people working with him who are able to identify concrete issues on time that are likely to affect the party. “It has been eight months and we have no agreement regarding seat allocation within the Alliance. We need these negotiations to be concluded and as the MDC-T administrator, I want those involved to finalise this issue now,” the former Nyanga North lawmaker said. Tsvangirai’s spokesperson Luke Tamborinyoka said he was not aware that the former Prime Minister had met Mwonzora.